Tooele freshman Cendan Dillon (45) controls the ball during a game earlier this season. 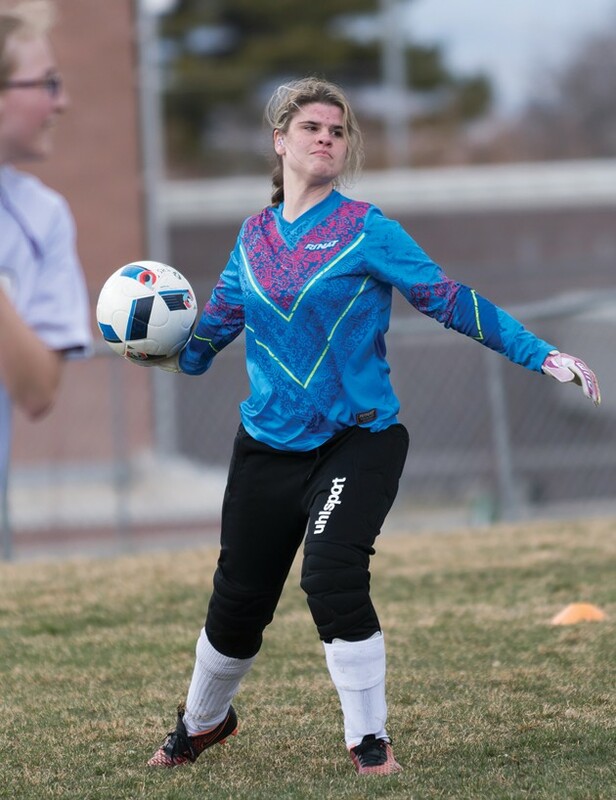 Tooele goalkeeper Ellie Jensen throws the ball to a teammate. 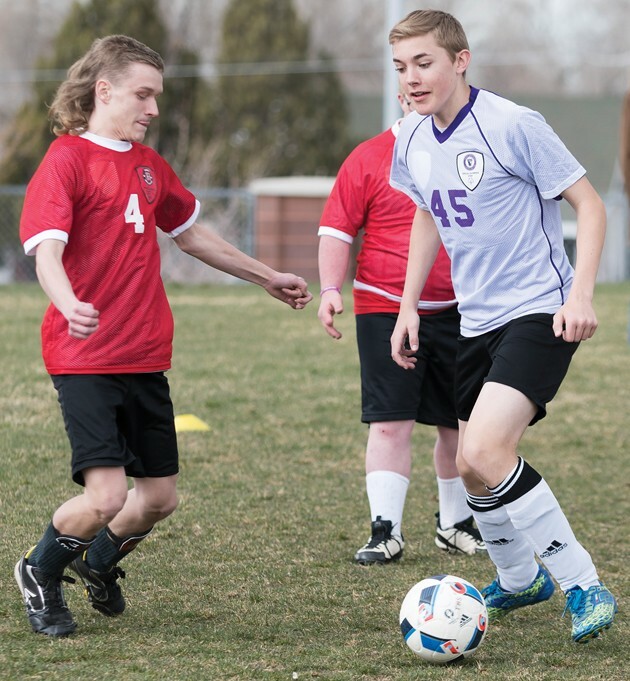 The Unified Soccer program — a joint effort of the Utah High School Activities Association and Special Olympics Utah — provides an opportunity to succeed on the playing field to those who might not otherwise get a chance to play at all. It also gives them a chance to experience the joy of winning a state championship. 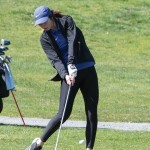 Tooele High’s team completed a perfect season on May 5 at Hillcrest High School, capturing their third consecutive Division 1 state title by beating Jordan in a thrilling semifinal before knocking off Hillcrest in the title game. 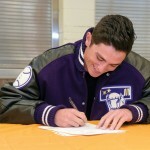 Tooele coach Patrick Ciervo said his team’s determination was evident throughout the state tournament. 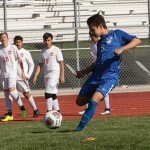 The Buffs fell behind for the first time all season when they gave up the first goal in the first minute of the semifinal game against Jordan, but Tooele tied the game on a goal by Matthew Perkins and battled its way to a 3-3 tie to force overtime. Goalkeeper Ellie Jensen made a big save early in overtime to set up the game-winning goal, where she threw the ball in to Sealmon Larsen, who sent Cendan Dillon in on a breakaway to put the Buffs in the championship game. Dillon’s big day was far from over. He scored a hat trick in Tooele’s 5-3 win over Hillcrest in the championship game, and the Buffs also got a solid game in goal from Jensen. “One in particular was shot right in front of the goal and she used her body to block it — you could hear the hit on the sidelines — yet she just got up as if nothing happened,” Ciervo said. Ciervo also noted the spirit of togetherness that his team showed throughout the season, particularly when it came to the postgame celebration. “This team grew close together,” he said. “They put other team members first; due to this, they truly were a team. This year’s team members included Nathan Ellis, Ellie Jensen, Tanasha Larsen, Paden Jolley, Ivy Olcott, Sealmon Larsen, Lucky Halcomb, Lewis Lloyd, Andrew Perkins, Matthew Perkins, Elias Winegar, Cendan Dillon and Braydon Egan.